A comprehensive choice of hot tub and swim spa models within a wide range of price points will be promoted by Artesian Spas to prospective dealers during the Piscina & Wellness Barcelona wet leisure showcase. Senior members of the Doncaster-based Artesian Spas distribution outfit are going to be highlighting the many cutting-edge features within the brand’s extensive product choice in the Platinum Elite, Island Spas, South Seas Spas, Garden Spas and TidalFit ranges from October 13 to 16 at the Fira de Barcelona’s Gran Via Exhibition Centre. 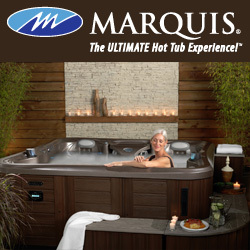 These include the fully-integrated Bluetooth system within the Island and Platinum Elite ranges, which has been rolled out this year as standard by thriving USA manufacturer May Manufacturing. The manufacturer and its blossoming European distributor has recently been boosted by the fact that the Artesian Spas brand and its network of dealers has gained a hat-trick of WhatSpa? Best Buy Awards. These are for the four-seater South Seas 518P, in the sub-£3,999 price category; six-seater Island Antigua 33, in the £6,000 to £7,999 price bracket; and the pictured six-seater Dove Canyon, which comes in at 235 x 235 x 97 cm and has achieved successive recognition in the £12,000+ price band within the WhatSpa? Best Buy Awards and Verdict section of the consumer magazine. Coming in at 214 x 214 x 92 cm, the Island Antigua 33 is proclaimed as being a ‘top contender in its class and a worthy winner for 2015’; having been part of the Nevada-based manufacturer’s overhaul of the range two years ago. Artesian Spas, has also been bestowed with a back-to-back WhatSwimSpa? 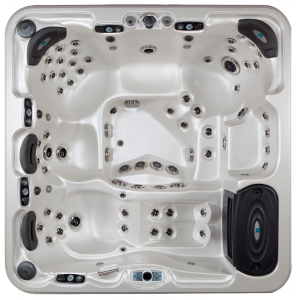 Best Buy Awards for the TidalFit EP-14; which is one of the most popular models in the £15,000 to £22,499 price category as it also has the option of the semi-inground model that is suitable for owners wanting to sink their swim spa in decking or landscaping. Earlier this year at the NEC in Birmingham, Artesian Spas promoted three newly-launched swim spa models during the UK Pool & Spa Expo, including the brand’s first hydraulic propeller design, to meet the growing demand from retailers catering for the booming swim spa market. 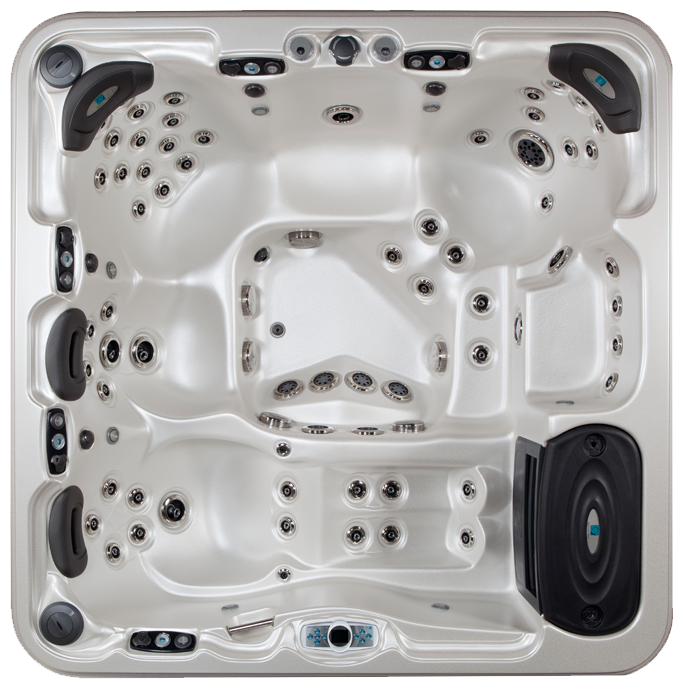 The Active EP-12 Above Ground model; Active Plus EP-12; Pro EP-15; and PowerPlus EP-16; have now joined the WhatSwimSpa? Best Buy TidalFit EP-14 model to boost the blossoming swim spa stable and increase the options for dealers and their prospective customers. Meanwhile, while hot tub manufacturers from the USA and Canada have abandoned the Barcelona exhibition, Artesian Spas Director Simon Wrigglesworth reported that the brand would like to replicate the success in Spain that it has been achieving in recent years throughout Europe after attending successive Piscina shows and the larger Piscine exhibition in Lyon; but it has been hampered by the Spanish economy’s financial downturn. “Things are really positive throughout most of Europe but Spain is still not great and it hasn’t really recovered from the financial crash,” said Simon.